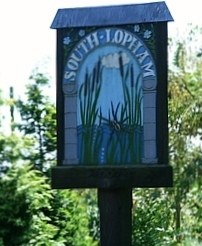 On Friday the 16th December the Lophams’ Society will be hosting it’s pre-Christmas get-together in the Village Hall between 6.30pm and 8.30pm. This is a FREE event and all residents of the Lophams’ both past and present are invited to come along and join us in raising a glass of Christmas cheer. As well as mulled wine and soft drinks there will be a selection of finger food including French bread and cheese, biscuits, mince pies and festive nibbles. Many of those who attended last year’s drop-in were complimentary about the new-style get-together and we hope that this year’s event will be just as enjoyable. So if you haven’t been before or haven’t “dropped-in” for a couple of years please come along and join us for a drink, a nibble and a catch-up and help get the festive season underway.